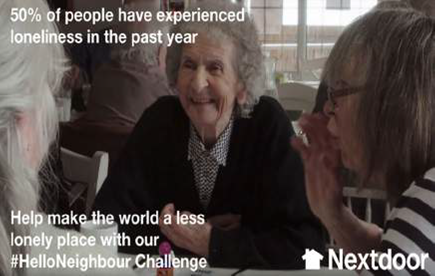 support neighbours in need in their communities before 2019.
last year, with almost half of people admitting to seeing their neighbours less during the colder winter months. by visiting their website at: go.nextdoor.com/helloneighbour. inviting a neighbour over for coffee. take the challenge to help tackle loneliness in your community.